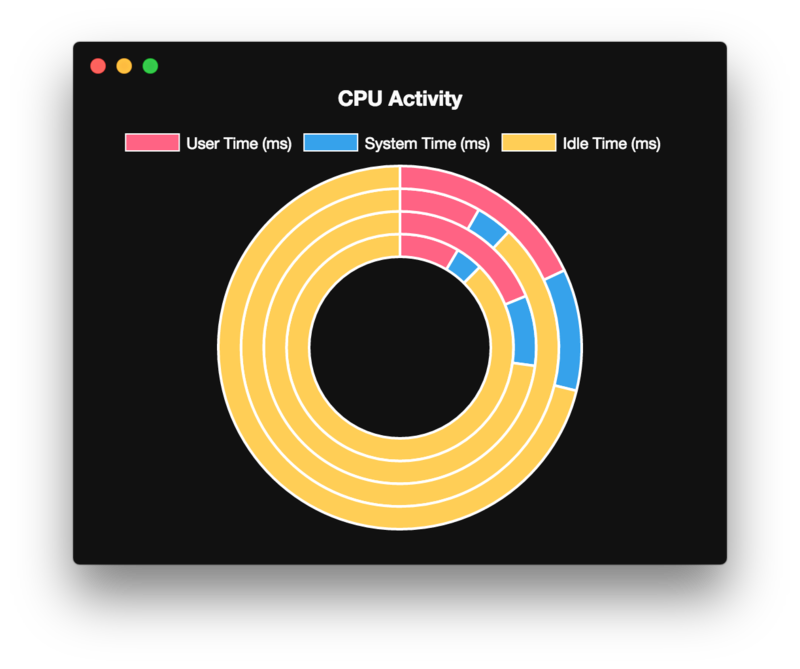 Simple Electron application that shows a doughnut chart of the CPU system, user, and idle activity time. This is a copy of the activity monitor Electron sample application. It's a simple placeholder app to build while developing the Electron build process for OS X and other platforms.